The zebra has black and white stripes without shadow stripes; legs are striped to the hoofs; grid-iron pattern on rump; throat with dewlap. 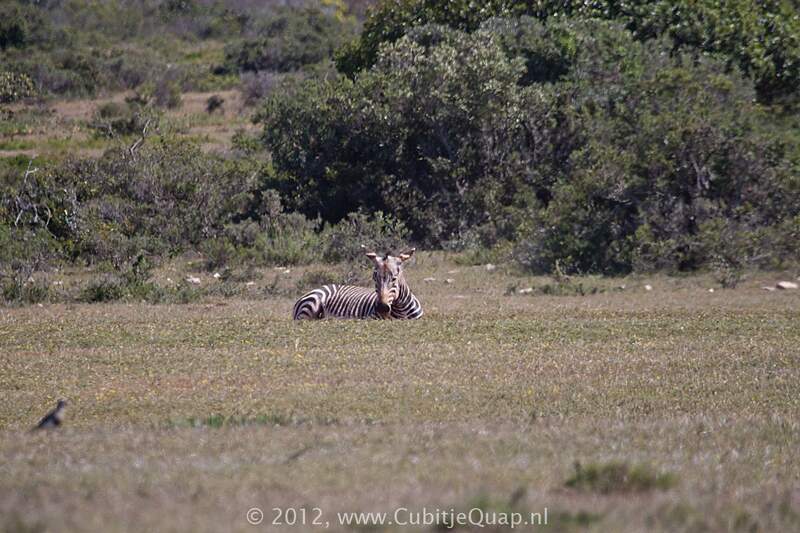 Mountain zebra's are white with black stripes, the legs being striped to the hoofs, underparts are white. There are no shadow stripes and over the top of the rump, above the tail there is a series of transverse black stripes forming a grid-iron pattern characteritic for the species. The tip of the muzzle is black, with orange-brown hair extending a short way towards the eyes. An erect mane runs from the top of the head to the shoulders. A dewlap is present on the throat; this feature is diagnostic of the species and does not occur in other zebras. Mountainous areas and adjacent flats. Breeding herds consist of an adult stallion with mares and thein foals and usually number 4 or 5 but occasionally more. 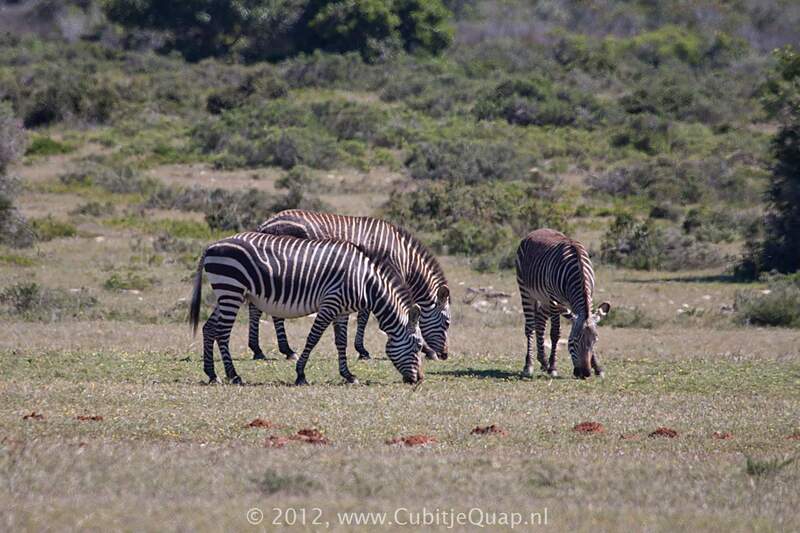 Mountain zebras are grazers, but they occasionally browse.